One of the best things about GenCon is being able to chat with the folks who bring us the wonderful games and tools we use to enjoy our hobby. In Episode 10 we plunge into the realm of "who dun it?" murder with Mystery of the Abbey by Days of Wonder. We then take flight in WWII air combat with Wings of War: Dawn of War air combat. And finally the D6G team reviews some of their favorite modeling and painting techniques. All that plus our usual segments such as "Achievements in Gaming," "Rapid Fire", "What's In the News", and the rest of our 'not to horrible' humor. The D6G Warhammer 40K 5th edition mega-episode! Preview copies of Warhammer 40,000 5th edition rule books have hit friendly local gaming stores and the D6G team managed to not only read through the book a few times but also play a couple of 5th edition games. To help us with our detailed review special guest Jon 'Yakface' Regul joins us from www.DakkaDakka.com to help give detailed insight into the changes from 4th to 5th edition. We also get to 'Yak with Yakface' about what it's like to write a massive FAQ such as the 40k Adepticon FAQ and what is on the horizon for Dakka Dakka. All that plus our usual dose of 'not to horrible' humor makes this our longest episode yet. So break out your paints because you'll probably finish a squad before this episode is done. 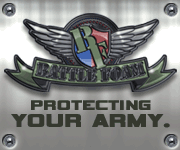 We'll also be posting some details about the army lists we played in that thread as well. In episode 8 the D6G team discuss their preview session of Dungeons and Dragons 4.0 in great detail. We also cover the common Organized Play methods players use to get folks together for war gaming. Plus the usual dose of 'not too horrible' humor. Or let us know what you think by sending e-mail to info@TheD6Generation.com. Episode 7 has has a detailed review of the Days of Wonder co-op board game "Shadows Over Camelot." We also introduce a new segment "Mulling Mechanics" in which we compare and contrast the different miniature war games' approach to common game tasks. To discuss this episode in our forum thread click here. Or let us know what you think by sending e-mail to TheD6Generation@gmail.com. 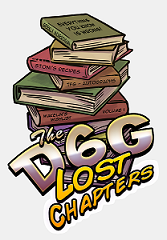 D6G Incoming is a 'bonus' segment of the D6 Generation that just features us responding to listener feedback. In this episode we respond to feedback for our shows through Episode 6. In addition to our attempts at humor, Episode 6 has extended Achievements in Gaming as Craig reports from Italy. We also finish our in depth overview of Warmachine that we started in Episode 5. This time we dive into the mechanics of the game. In addition to our usual 'attempts at humor' Episode 5 features part 1 of our two part Warmachine Overview and a detailed review of Dark Heresy, the Warhammer 40,000 RPG. 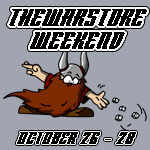 D6G Episode 4b: News, LoTR, Warmachine Models Eye View Battle Report, & D'ya Ever notice? Episode 4b covers news, Hollywood's Pie loving LoTR special, an Off the Table movie review, a Warmachine vs Hordes Model's Eye View battle report, and D'ya ever notice. To discuss this episode in our forum thread click here. Or let us know what you think by sending e-mail to TheD6Generation@gmail.com. In addition to our usual Rapid Fire and Achievements in gaming segments, Episode 4a has in depth analysis of Fantasy Flight Games new expansion: Descent: A Road to Legend. Jeff from Podhammer.net joins the D6G team in a super sized episode to discuss Warhammer Fantasy Battles and how it ties in to our analysis in Episode 1. In addition to our usual poor attempts at humor, in Episode 2 we say goodbye to Gary Gygax, give an indepth review of Tannhäuser, and go Off the table with a couple vid-game reviews that war gamers might enjoy. To discuss this episodes in our forum thread click here. D6G Episode 1b: News, GW vs PP, D'ya ever notice? Episode 1b continues where 1a left off. The bulk of the episode is a round table discussion about GW vs Privateer Press. Intro to the D6 Generation team and our adventures at TempleCon. Continued in episode 1b is our discussion of GW vs Privateer Press. Warning: The first 3 minutes of this podcast will be a poor attempt at satire. Listeners who are pregnenant, nursing, have a heart condition, have back problems, or no sense of humor should fast forward to the 4 mintue mark in this episode. Should you attempt to listen to the intro, we can only wish you Godspeed.